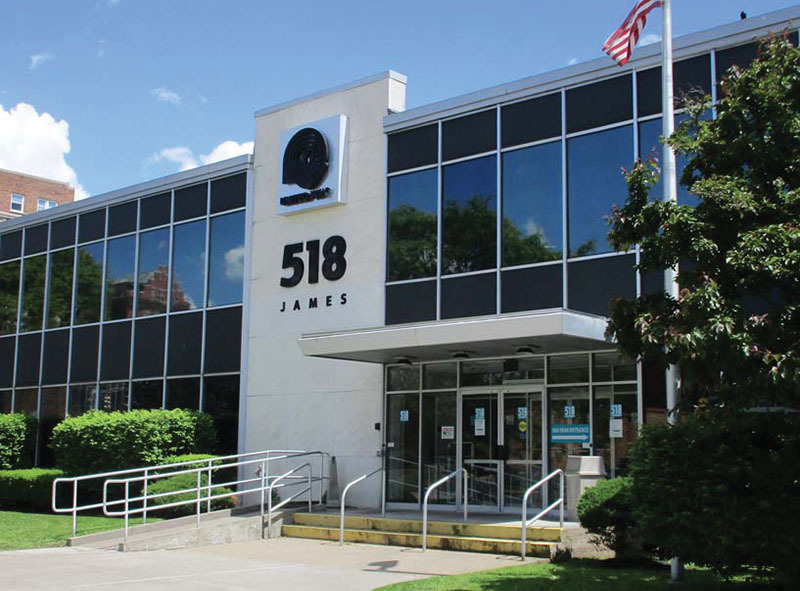 • The 48,801 s/f office building located at 518-520 James St. was recently sold. The 100% leased investment property was purchased by S&J Realty Enterprises and J&K Realty for $3.75 million. William Evertz of CW|Pyramid Brokerage exclusively represented the marketing of the property and facilitated the sale on behalf of the seller, Berkley 518 Office LLC. • The Shops at Seneca Mall, located at 8015 Oswego Rd. in Liverpool was recently sold. The 231,024 s/f retail center was sold via auction to Amerco Real Estate Co. for $3.025 million. Joyce Mawhinney MacKnight and Stephen Scuderi of CW|Pyramid Brokerage exclusively marketed the property and facilitated the sale through TenX Auction on behalf of the seller, Brixmor Property Group. • Eastern Millwright Regional Council (EMRC) purchased the 15,856 s/f of warehouse space at 108 Metropolitan Dr. in Liverpool. Tamarack Associates Inc. sold the property for $755,000. EMRC is a resource to find more than 3,000 skilled millwrights from the United Brotherhood of Carpenters and Joiners of America. Gary Cottet of CW|Pyramid Brokerage represented the buyer, Eastern Millwright Regional Council in this lease transaction. • The 10,812 s/f office property at 208-218 North Townsend St. was sold. LaRoasteria, Inc. dba Café Kubal, purchased the property for $423,950 to be used as their corporate headquarters. Café Kubal has six locations throughout the area. Christopher Savage and Cory LaDuke of CW|Pyramid Brokerage facilitated this transaction. • The Tops Plaza at 398-3980 Route 281 in Cortland finalized three new leases. Metro Phone leased 1,125 s/f, Cutting Crew leased 1,125 s/f and Relaxation Nails and Spa leased 4,821 s/f. Lee Salvetti of CW|Pyramid Brokerage exclusively markets and represents the property, and facilitated these leases on behalf of the landlord. • Party Services NY Com LLC leased 4,100 s/f of office/service space at 14 Corporate Cir. in East Syracuse Cottet brokered this lease transaction on behalf of the tenant. • David Carnie of CW|Pyramid Brokerage exclusively represented the marketing of, and facelifted the sale of, the property located at 1376 Rte. 3 in Mannsville. The property, known as the Wayside Inn, consisted of a 2,391 s/f restaurant, with a 1,099 s/f polebarn/warehouse, on 14.2 acres. 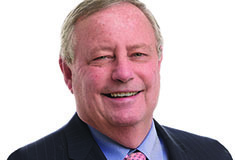 Rick Quinn purchased the property from The Estate of Robert Rezak for $155,000. • National Grid recently leased the 6,480 s/f warehouse at 5425 Baldwin St. in Brewerton. Carmen Davoli of CW|Pyramid Brokerage brokered this lease transaction on behalf of the landlord JCM Properties Inc.
•The professional office building located at 609 Vine St. in Liverpool, recently sold. 609 Vine Street LLC purchased the property from Advocates Incorporated for use of as a professional office. LaDuke and Michael Kalet of CW|Pyramid Brokerage exclusively represented the marketing of the property and facilitated the sale on behalf of the seller.